Being a Sugar Baby offers lots of exciting opportunities and there’s nothing more exciting than finding a Sugar Daddy that loves to travel and vacation around the world. Everyone loves to travel, it’s one of the most rewarding experiences life has to offer. Sugar Babies that meets a Sugar Daddy with a passion for travel can expect a life of luxury and adventure whether it’s soaring, sailing, driving, or touring around the world. One of the many great things about our platform is that profiles are infused with lots of travel features so in turn it attracts both Sugar Babies and Sugar Daddies that love to travel. Here’s a few things you can do to help transform you into the best traveling Sugar Baby you can be. A Sugar Daddy that enjoys traveling is most likely committed to the lifestyle so that means there will be long days and weeks away from home. Sugar Babies should do what they can to be readily available short of letting it affect their day job or education. Save all your vacation days and always be informed of your Sugar Daddy’s free time and also let them know yours to make planning ahead a lot easier. Nobody wants to miss out on the vacation of a lifetime because of poor time management or miscommunication. Make sure you have a valid passport and get one if you don’t. Never wait until the last minute to prepare because that’s a good way for plans to fall apart. Also be informed of any visa requirements that some countries may require from you while traveling internationally. A capable and considerate Sugar Baby will help the Sugar Daddy with the planning, navigating, and travel details to show they are committed to the lifestyle. You can easily impress them with your travel knowledge and it will make you feel good giving back as well. Traveling in luxury with fancy dinners, wild adventures, and lavish hotels is a dream come true for most. A Sugar Baby with a good head on their shoulders will appreciate their very privileged position and treat their Sugar Daddy like the sweetest man alive. Be exciting, affectionate, romantic, and grateful in every moment traveling together. Many Sugar Babies would let this lifestyle inflate their egos and there’s no better way to become a keeper in the eyes of your Sugar Daddy than staying down to earth and genuine. Always consider your safety when traveling to any destination with a Sugar Daddy. 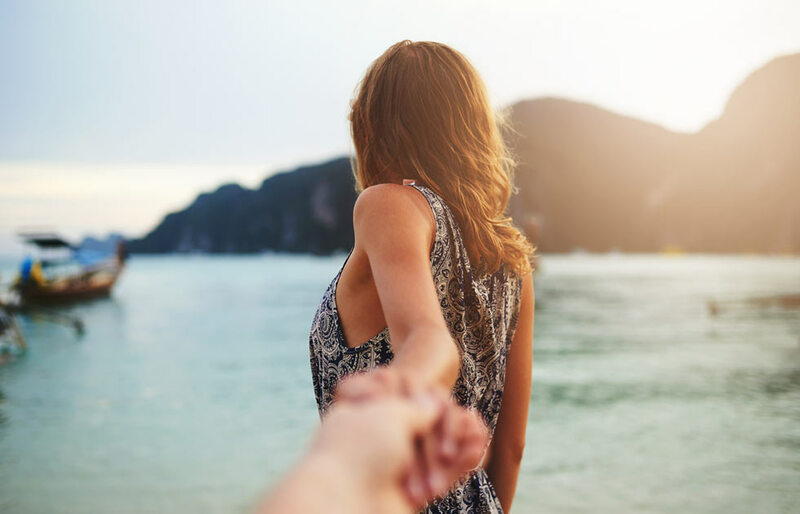 Make sure you’ve went on at least one good date before you’re ready to a vacation together and always let your family and friends know exactly where you’re going before departing. You should also use one of the safety apps we recommend in our articles for maximum safety and piece on mind. Another good idea is to always have cash and a credit/debit card just in case you need to part ways for whatever reason during your travels together.